Please refer to our stock # TR779 when inquiring. 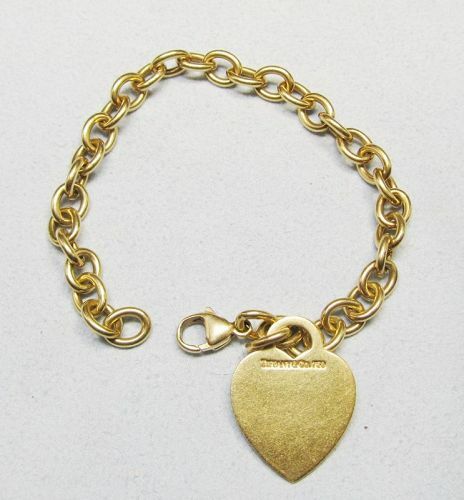 Classic, signed Tiffany & Co. 18Kt yellow gold solid link bracelet with a heart shaped tag. The bracelet is 7 ½ long and marked 750 (18Kt) on the clasp and the heart tag. The links of the bracelet are ¼” wide and the heart tag measures 1” X 7/8”.